A stay at Seventh Heaven Hotel places you in the heart of Shanghai, within a 15-minute walk of The Bund and Nanjing Road Shopping District. Featured amenities include complimentary wired Internet access, a business center, and complimentary newspapers in the lobby. With a stay at 701 Inn in Kunming (Panlong), you'll be within a 10-minute drive of Kunming Zoo and Yunnan University. 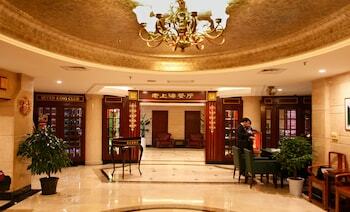 When you stay at Zibo Landao Hotel in Zibo, you'll be 7 minutes by car from Zibo China Cermaic Center. Free self parking is available onsite. With a stay at Chengdu Junyi Hotel in Chengdu (Jinniu), you'll be 11 minutes by car from Southwest Jiaotong University. Free self parking is available onsite.